I am a loud and proud Southerner, born and raised in Georgia, a true Marietta native. I love Southern food, Southern etiquette (or sometimes lack thereof), Southern hospitality (did you ever hear anyone boast about Northern hospitality? I didn’t think so), Southern grammar (again, sometimes lack thereof), and Southern football (read: shameless plug for the SEC). I remember my first picnic at a church north of the Mason-Dixon Line. It was my freshman year in college and a gang of us had driven out to a little country church for Sunday service, passing a few Amish folk enjoying their horse and buggy along the way. The weather was gorgeous that Sunday afternoon and after service, the ladies were busily arranging all the food by category on the outdoor tables while the children got sufficiently sweaty and dirty before it was time to say the blessing. My new friends and I took our place in line chatting about college classes, professors, upper classmen, curfew, and whether we would have time to stop by the mall on our way back to campus. I’m a fairly adventurous eater so I began to take a spoonful of this and a portion of that, moving down the line in great anticipation of what I was sure would greet me when I reached the meat section of the table: fried chicken. To my dismay, I reached the last of all those tables with not even a drumstick or a thigh to show for it. No mashed potatoes; nothing even remotely resembling potato salad; and no gravy. I turned to one of my classmates and asked quietly, “where’s the fried chicken?” To which she burst into obnoxious laughter. She felt inspired to share with everyone else that I was looking for the fried chicken, to which they all responded with the same uproarious laughter. I didn’t think it was funny. Who has a picnic without fried chicken? Apparently, a lot of people – even those who go to church and have Sunday picnics on the church grounds! Clearly, I was the only Southerner in attendance that afternoon, which sparked another entire conversation on life in the South, including why we get so bent out of shape talking about the Civil War. I am happy to say I provided a proper education for my listeners that day. 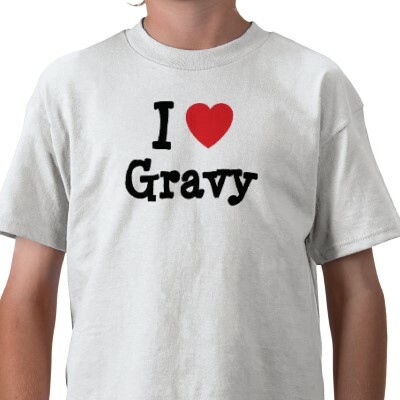 One of my favorite things about Southern food is gravy. We put gravy on everything. We douse our roast from the crock pot, cooked carrots, mashed potatoes, biscuits, and cornbread in brown gravy. We ladle white gravy (best made from sausage drippings) on scrambled eggs, toast, biscuits, mashed potatoes, and the sausage the gravy was made from. Gravy makes everything taste better – and the key for both brown and white gravy is in the roux (pronounced ‘roo’ for you non-Southern readers). There is an art of absolute perfection in the mixing of butter and flour, stirred properly with a fork, at just the right temperature over a hot stove, until it reaches just the right color. If something is salty, we tone it down a bit with the gravy. If it lacks a little seasoning, we spice it up with the gravy. 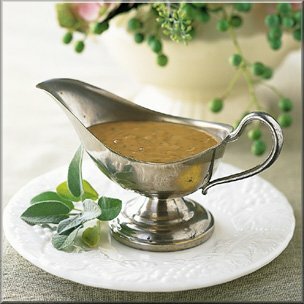 Gravy is the perfect food accessory: you can make a puddle in the middle of your mashed potatoes and not get scolded for playing with your food; you can drizzle it over biscuits and let it run lazily around the plate; you can even dress up a pot roast on its platter by splashing a bit across the top. I think grace is like that. Some people define grace as forgiveness. Some people define grace as elegance and good manners. Some people define grace as mercy. My pastor has often defined grace and mercy this way: grace is receiving what you don’t deserve; mercy is not receiving what you do. While all of these may be true to some extent, grace is so much more than any of them – and all of them. The Greek word is ’charis’ and literally means free gift. Freely given, freely received. We can’t give grace and expect something in return; if we do, it’s not grace. We can’t receive grace and try to prove that we earned it; if we do, it’s not grace. Grace is a gift for both the giver and the receiver. Eugene Gladstone O’Neill, Pulitzer Prize winner in 1936 for Literature, said this about grace: “Man is born broken. He lives by mending. Grace is the glue.” And I would argue that like gravy, grace starts with the roux – the perfect blending of the heart and mind, mixed together to perfection, making a conscious decision between both to give or receive in a spirit of love and thankfulness. Grace, like gravy, makes everything taste better. When we extend towards others an attitude of grace, we release the selfish demands of life being all about ourselves. We look beyond our own comfort zone and extend a very personal, heart-inspired gift to our neighbors, friends, family, and yes, our enemies. And at times, when we are our own worst enemy, grace is one of those rare and beautiful gifts by which we are the giver and receiver. A free gift to our own self, given by our own self, to reflect the unmerited favor God has showered upon us. Grace charges nothing and doesn’t look for a tip. It simply is. But oh, how much better life tastes when seasoned with a heaping helping of grace! Are you in a season where life lacks flavor? Or are you feeling overwhelmed by too much spice in your days? Are those around you in need of some gravy from your plate? Do you need to step back and feed yourself a bit right now? Go ahead, mix up a tasty roux of heart and mind before you grab a ladle. Then lavish yourself – and someone else – with the gravy of grace. Nothin’ like it to satisfy the appetite of the soul. Very impressed. Loved this entry.